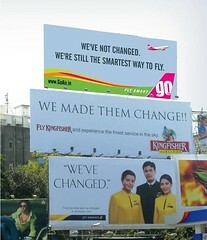 This is an interesting view of three billboard advertisement from three Indian domestic airlines. 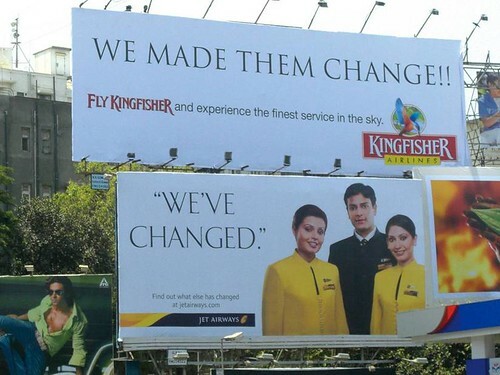 They have managed to pile up their billboards on top of one another, each giving a repartee to another below it! On the whole they provide an interesting reading! 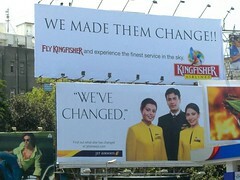 The ad was spotted in Hyderabad, capital of Andhra Pradesh, India. 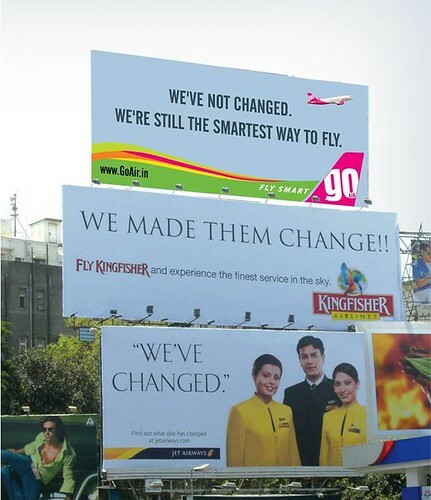 The unique placement of ads has also underscored the increasing cut-throat competition among Indian private airline companies.